This Ugo Colombo goes on to explore Colombo’s early experiences including his first solo development, the 147-unit Bristol Tower in 1992. “I learned so much with that project,” says Ugo Colombo. “The fact that is looks just as modern today as it did over 20 years ago is a great feeling of accomplishment. The piece goes on to explore Colombo’s most recent project, Brickell Flatiron, a project that continues his practice of enhancing community by incorporating elements of culture into his properties. 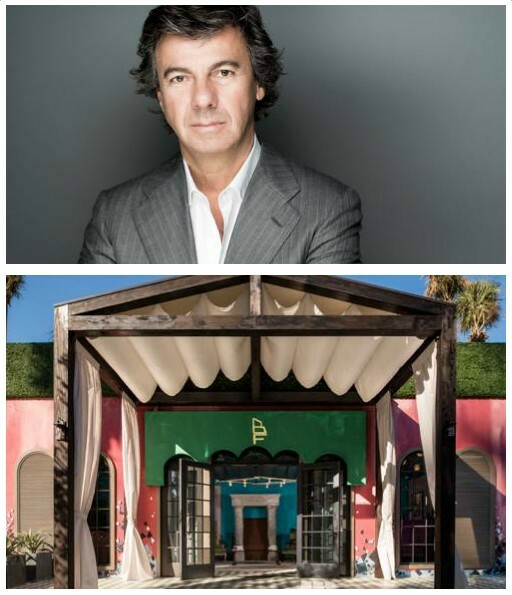 “Whether it be through art or a restaurant like Zuma, I like to make sure a property is left with something unique and special that everyone can enjoy and appreciate,” says Ugo Colombo. This entry was posted in News and tagged Brickell Flatiron, Brickell Magazine, Bristol Tower, CMC Group, Ugo Colombo on May 26, 2015 by Ugo Colombo. 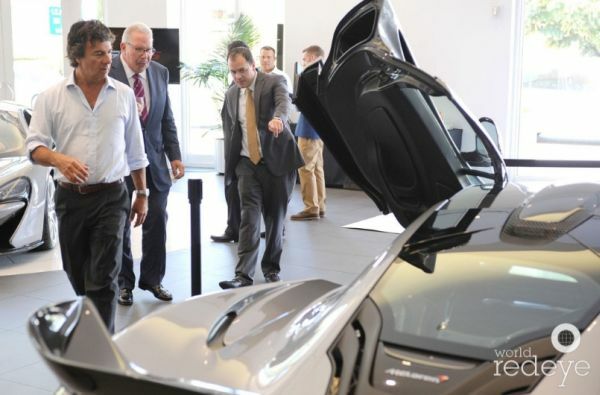 Ugo Colombo, Ken Gorin and The Collection recently celebrated the arrival of the all-new McLaren 570S Coupé – a mere few days after its premiere at the famed New York Auto Show. McLaren has completed its three-tier model strategy by adding the Sports Series to the already-established Super Series and Ultimate Series. The Collection is the first dealer to receive the 570S on a multi-dealership North American tour and Ugo Colombo was present to experience the 570S. More than 50 VIP guests join him as they flowed into The Collection for the two-day private appointments. They enjoyed light catering, an augmented reality display of the 570S and a display of McLaren’s jaw-dropping sports cars including the evening’s main-attraction – the all-new 570S; the 650S and McLaren’s hypercar – the P1™. The unique carbon fibre MonoCell II chassis has been newly designed with a focus on day-to-day usability. Its extremely stiff, strong but light structure enables it to deliver exceptional handling precision. The low rear deck helps reduce drag, the rear flying buttresses increase downforce and the dihedral-hinged doors channel airflow. Adding an extensive range of additional performance equipment, the 570S also provides carbon ceramic brakes, 17 exterior colours and track-biased Pirelli P-Zero™ Corsa tyres to help deliver a scintillating driving performance even under the toughest circumstances. Form and function flow together in the Sports Series. The McLaren 570S is carefully designed to deliver highly efficient aerodynamic and aesthetic performance. This entry was posted in News and tagged Ken Gorin, McLaren 570S, The Collection, Ugo Colombo on May 20, 2015 by Ugo Colombo. Cultured Magazine is an art, design and architecture magazine published five times a year by the Miami-based Whitehaus Media Group and they recently wrote an article exploring Ugo Colombo’s new Brickell Flatiron. 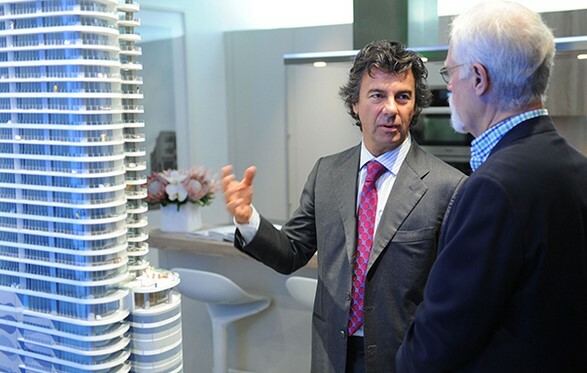 The event was hosted by Ugo Colombo and Sarah Harrelson. Guests included Massimo Melchiorre, Evan & Stephanie Reed , Michelle & Jason Rubell, Marty Margulies, and Randy & Gigi Whitman. This entry was posted in News and tagged Brickell Flatiron, Cultured Magazine, Ugo Colombo on May 13, 2015 by Ugo Colombo. Ugo Colombo, Founder and CEO of CMC Group, and Bonnie Clearwater, Director and Chief Curator of Nova Southeastern University’s Museum of Art Fort Lauderdale hosted an intimate art discussion and dinner featuring artist Julian Schnabel at the Brickell Flatiron Design and Sales Gallery. The event brought together Miami’s art, design, and real estate development forces and Bonnie Clearwater engaged Schnabel with questions about his experiences in the art world and his inspiration for designing Brickell Flatiron’s public spaces. This entry was posted in News and tagged Bonnie Clearwate, Brickell Flatiron, Julian Schnabel, Ugo Colombo on May 7, 2015 by Ugo Colombo.